Intergate, in conjunction with our travel visa partner, offers a bespoke Dubai visa service that provides advice, compilation of the application, submission and return. What is a Dubai visa? A visa is permission, in the form of a stamp in your passport, referred to as a visa, which allows you to enter and stay in Dubai under set conditions and for a set period of time. Certain countries are able to travel to Dubai without the need to obtain a visa, other nationalities will require one whether visiting Dubai for the purposes of visiting a relative, holiday or a business trip. Dubai Transit Visa – for visa applicants staying in Dubai (whilst awaiting for onward travel) for a minimum of 8 hours and maximum of 96 hours. The airline must act as the sponsor. Dubai Tourist Visa – For tourists wishing to stay up to 90 days, depending on the type of visa, with the hotel or tour operator acting as the sponsor. 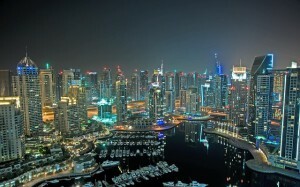 This type of Dubai tourist visa is only for individual tourists from: East and West Europe, Turkey, Bulgaria, Poland, Ukraine, Albania, Russia, the Hellenic Republic, St Kitts-Navis, St Lucia, Mexico, Cuba, Bermuda, Belize, Guyana, French Guiana, Martinique, Antigua and Barbuda, St Vincent, Kingston, Palao other non-defined American nationalities, Thailand, South Africa, Singapore, China, Malta, Cyprus. Dubai Visit Visa – The visit visa applies to tourists who wish to spend more than 14 days in Dubai, those coming for family visits as well as those on long-term business visits. It requires the sponsorship of any U.A.E. resident or any company or hotel licensed to operate within the U.A.E. The visit visa is valid for 60 days and is renewable for a total stay of up to 90 days. Dubai Multiple Visit Visa – Multiple-entry Visas are available to business visitors who have a relationship with either a multinational or other reputable local establishments, and who are frequent visitors to the UAE. This type of visa is valid for six months from the date of issue and the duration of each stay is 30 days. The validity is non-renewable. Andorra, Australia, Austria, Belgium, Brunei, Bulgaria, Canada, Croatia, Cyprus, Czech Republic, Denmark, Estonia, Finland, France, Germany, Greece, Holland, Hong Kong, Hungary, Iceland, Ireland, Italy, Japan, Latvia, Liechtenstein, Lithuania, Luxembourg, Malaysia, Malta, Monaco, New Zealand, Norway, Poland, Portugal, San Marino, Romania, Singapore, Slovakia, Slovenia, South Korea, Spain, Sweden, Switzerland, United Kingdom, United States of America, Vatican. outside Dubai and want to apply for a visa to visit Dubai. Do I have to go in person to submit my Dubai visa application? No we can arrange submission on your behalf. No – we are able to pick up your Dubai visa on your behalf. In general a visa application takes about 7 working days but it should be remembered that timing and acceptance or rejection is at the discretion of the Dubai consulate or embassy. It is always good advice to apply well in advance. Emergency visas are available for Dubai but there is an additional cost currently R1,250. An Dubai Visa is applied for at the Embassy or Consulate of Dubai or at a visa application centre. 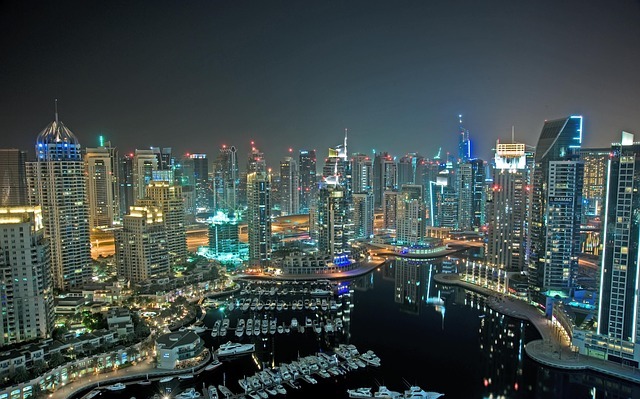 Intergate, in conjunction with SATravelbug, offer you a hassle free Dubai Visa Service. Please note that applications for an Dubai Visa must be made prior to travelling and should be arranged 2 to 4 weeks in advance.